The desk used by poet WB Yeats has sold for £150,000 (£187,000 inc premium) this morning, five times its top estimate of £30,000. 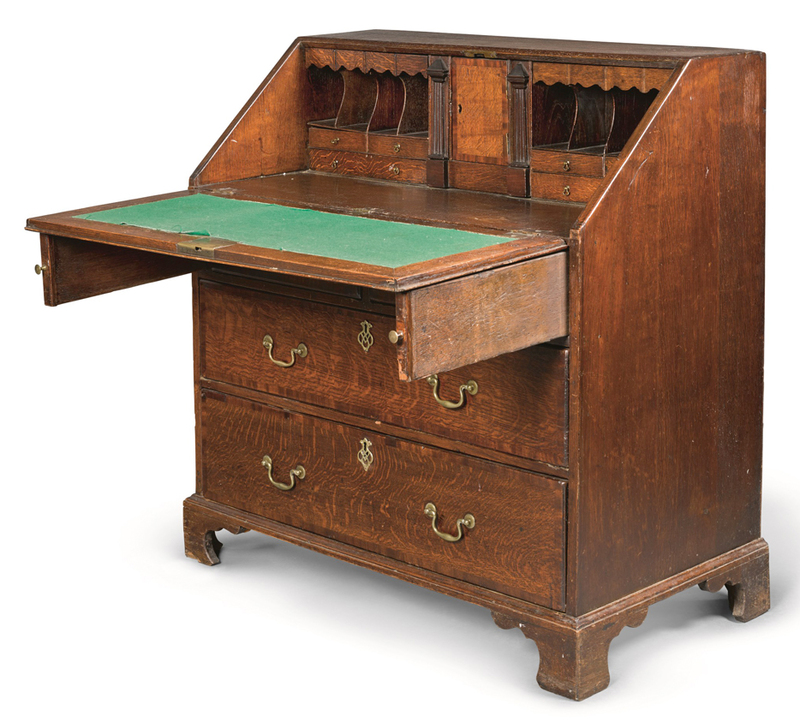 Selling for £150,000 at Sotheby’s, the desk used by poet WB Yeats fetched five times its top estimate. However, a group of more than 130 letters from WB Yeats to his first lover, then life-long friend and author Olivia Shakespear, the sale’s top lot estimated at £250,000-350,000, failed to sell. Sotheby’s had billed this correspondence, covering many decades and in which Yeats writes at length about his beliefs, passions and poetic development, as “of the highest importance to literary history and is an exceptional rarity on the open market”. Leading figures in Irish arts had protested earlier this week at the sale of what is considered a collection of huge importance to Ireland’s cultural heritage. The letters were central to this protest. The Irish Times reported that Ireland's government had agreed to provide funds to the National Museum of Ireland and the National Library of Ireland to buy certain lots. The bureau desk was used regularly by Yeats for his correspondence in his later years, including some of the letters which failed to sell at Sotheby's this morning. The desk sold to a private Irish buyer. Another top lot, an oil on canvas self portrait of Yeats’ artist father, John Butler Yeats (1839-1922), estimated at £30,000-50,000, sold for £70,000 (£87,500 inc premium).